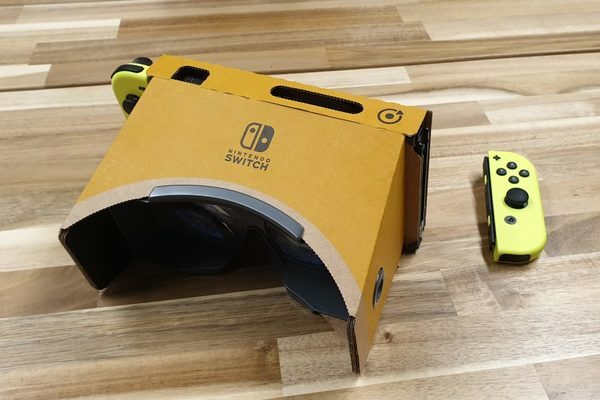 People have been customizing their Nintendo Labo VR Kits since the package launched, and this might be one of the best tweaks so far. Not only has a headstrap been added, but the headset itself has been given a wonderful Legend of Zelda-style makeover. I'd love to do something like this with my VR Kit, but I have zero artistic talent! We check out ALL 64 VR Plaza Minigames in Labo VR, such as various sports, a platformer, racing games, and even one that's surprisingly TERRIFYING! And they make use of the various Toy-Cons including VR Goggles, Elephant, Camera, Blaster, Bird, WInd Pedal, & more! Nintendo has some big plans to promote the Switch in Japan for Golden Week. The Big N will be setting up shop in the AEON Mall Makuhari, Chiba on April 29th and 30th, and AEON Mall Kyoto on May 1st and 2nd, 2019. The in-store events will give customers the chance to try out the Nintendo Labo: VR Kit, New Super Mario Bros. U Deluxe, Yoshi’s Crafted World, and Pokémon: Let’s GO! Pikachu/Eevee. Playing each game will net you a special item for each. The items include a Switch Cardboard Stand, New Super Mario Bros. U Deluxe or Yoshi’s Crafted World clear file, and squeezy Poké Ball. Just last night, we had rundown of info from Takuhiro Dohta, technical director on Zelda: Breath of the Wild. He revealed why Zelda: Breath of the Wild is getting VR Kit support, and how it all came to be. Now we have that same statement, but fully translated into English! Check out the entire blog below. Hello, I’m Takuhiro Dohta, the technical director for The Legend of Zelda: Breath of the Wild. Nintendo Labo: VR Kit is out now, and included in this kit are the Toy-Con VR Goggles. We’ve created a little something that uses this Toy-Con creation in The Legend of Zelda: Breath of the Wild. Once you’ve updated the game’s software, it’s easy to use. During play, open the menu screen, select System, and select Options. 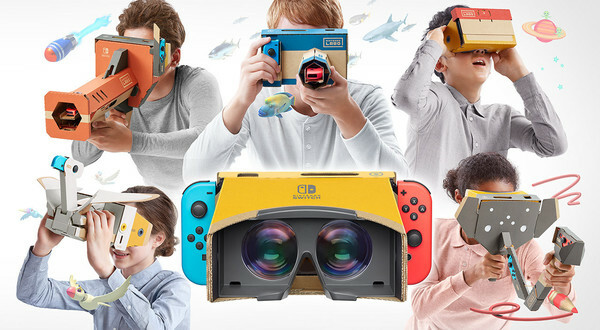 Then set the Toy-Con VR Goggles option to ON, and simply insert your Nintendo Switch console into the VR Goggles and attach its Joy-Con controllers to the sides. 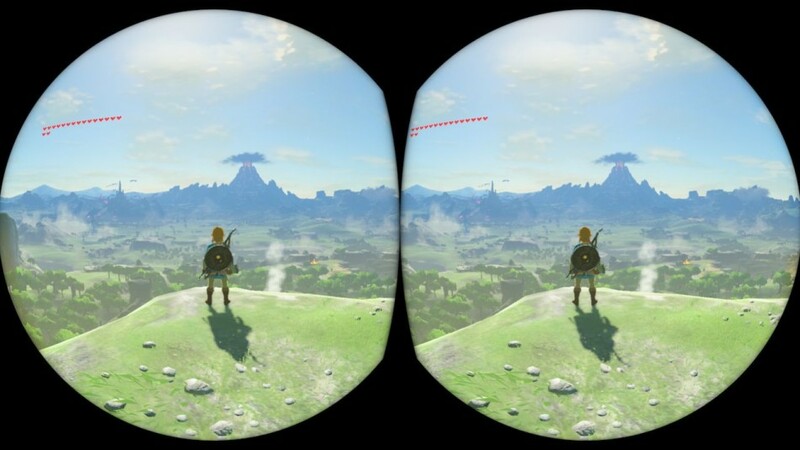 When you look through the VR Goggles, you’ll see the world of Hyrule stretching out before you in VR! The controls and overall game content are the same as normal, but you’ll be able to get a new perspective on Hyrule. And as you look around with the VR Goggles, the in-game camera will move accordingly. It’s possible to switch the display method at any point in your adventure. We recommend taking a look through the VR Goggles when there’s something interesting to see, like a location with a great view, a favourite character, or a favourite piece of equipment. The concept of this update is to add a little twist to the world of Hyrule to give players, even those who’ve played the game a lot, a reason to come back and get even more enjoyment out of the game. This is why we have designed this new feature so that it can be used with your existing save data. The idea for this started when the Nintendo Labo development team gave us a demonstration of the VR Goggles for the first time. The experience was quite a surprise, and I started thinking that maybe we’d be able to do something with them in The Legend of Zelda: Breath of the Wild. First, we thought about lots of different things; locations that would be nice to see in VR, enemies that would be fun to fight… In the end, The Legend of Zelda development team reached the conclusion that, rather than change the game, we should let you play it as it is, and instead just make it so that you can use the VR Goggles to see whatever parts you want. Since The Legend of Zelda: Breath of the Wild is a third-person game – meaning you play while watching your character, Link, on screen – our challenge became coming up with a way to create a fun VR experience without changing that core aspect of the game’s design. Ultimately, we arrived at a VR Goggles experience that’s a bit different from the one you’ll find in Nintendo Labo: VR Kit, so I hope you’ll give it a try. If you’re not a fan of the motion-controlled camera, you can turn it off by adjusting the Aim with motion controls setting under Options, and enjoy the VR experience that way instead. Even with the motion-controlled camera turned off, I hope this new experience is enough of a twist to give players a reason to try the VR visuals out. One of the core goals during development for The Legend of Zelda: Breath of the Wild was to make it a “multiplicative gameplay” experience, in which players could find their own fun and find their own ways to play. The nature of Nintendo Switch multiplies the fun further by giving you the freedom to play wherever and whenever you like. I hope that by creating yet one more new way to play, with the VR Goggles, the fun can multiply again! Is Labo having its moment? A combination of more excitement from fans and a more cautious approach to supply has lead to Nintendo Labo's VR Kit being extremely tough to find. People all over the internet are sharing stories of multiple retailers being completely sold out. That goes for both the full VR Kit and the Starter Kit. Have you had trouble finding the Kits at your local retailer? 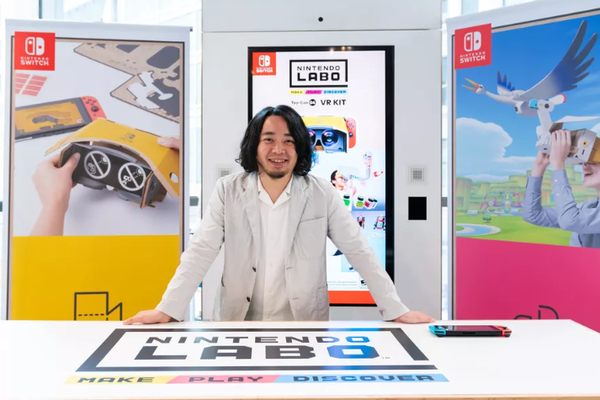 Did you jump in on this version of Labo while skipping the others? Anyone who's built Nintendo Labo Toy-Cons knows that there's quite a few scraps left afterwards. After popping out various smaller pieces and parts, you're left with quite the pile for the trash. Instead of throwing these bits away, a friend of Reddit user The_Indifference decided to turn the trash into a work of art! This makes me feel bad about all the scraps I've thrown away. I could have done something so much better with them! The Nintendo Labo VR Kit Toy-Con Garage is already being put to good use by fans. One of the first projects out there is something akin to bowling, but instead of rolling the ball, you kind of throw/bounce it towards the pins. By pins, I mean toy figurines, of course! Thanks to Internet for the heads up!